P.O. Drug Store P.E. 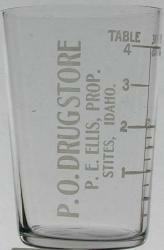 Ellis Prop. citizens of the county of his adoption. commander; and the Fraternal Order of Eagles.